The Pro-Box are Laminar Airflow large enclosures designed to protect robotized applications against external contamination, by achieving ISO5 air cleanliness inside the working volume. These products are especially dedicated to screening automats, flow cytometers, cells sorters, very sensitive biomedical devices, etc. 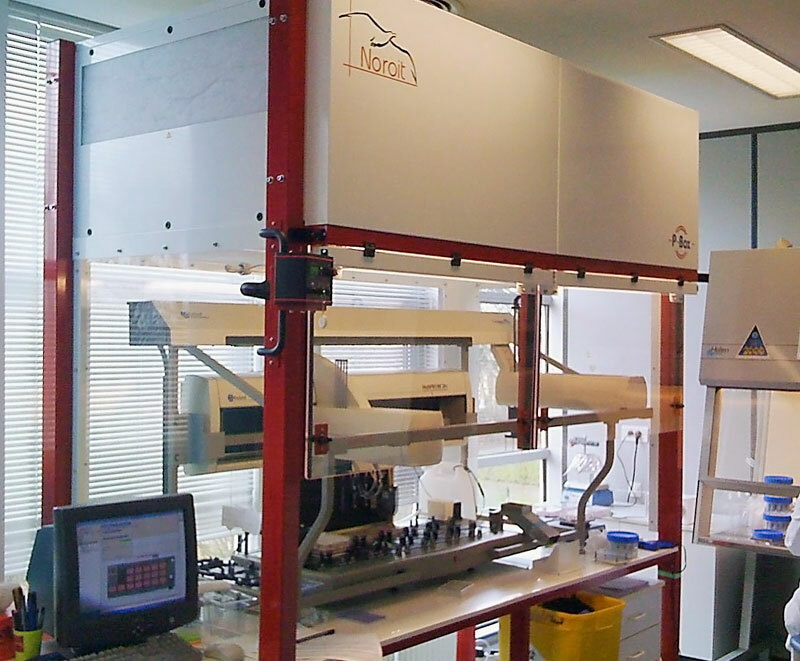 Liquid handling or cells sorting applications. Pro-Box is particularly relevant in robotized platforms, in screening or diagnosis laboratories or flow cytometry core facilities. 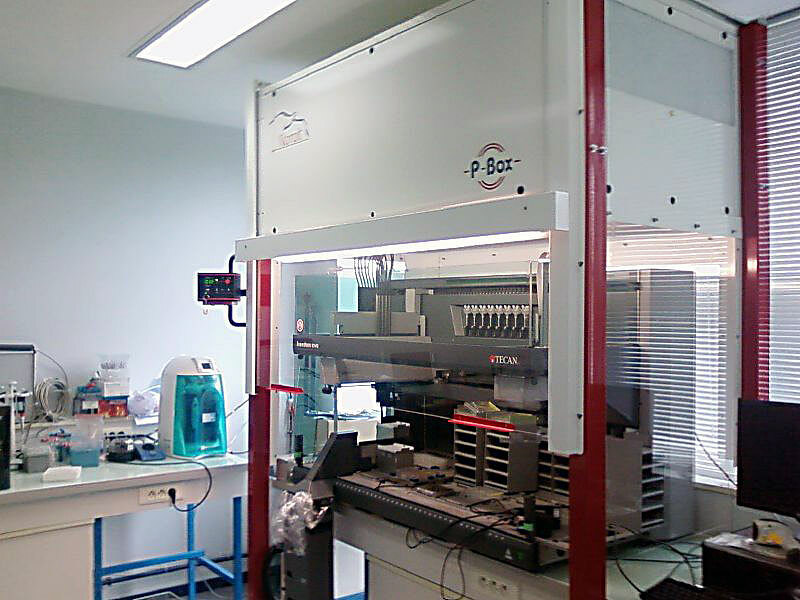 The Pro-Box are essential equipment in many research centers specialized in cell biology or in the pharmaceutical industry. 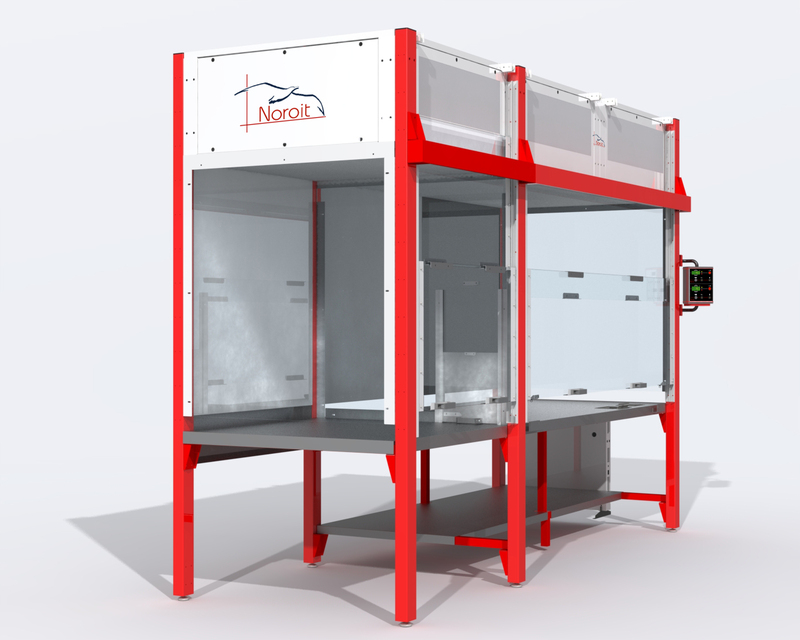 The Pro-Box is a bespoke enclosure to meet your requirements at best. Contact us!